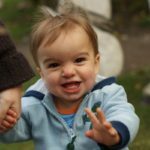 If you’ve just had a diagnosis of cleft, either at a scan or after your baby was born, it’s likely you’re full of questions and more than a few emotions! You’ve come to the right place. The Cleft Lip and Palate Association aims to support everyone in the UK affected by cleft, from diagnosis right through to adulthood, and that support begins with the right information. There is comprehensive treatment available on the NHS for babies born with a cleft which is provided by dedicated cleft specialists. Surgery involves taking the muscles and tissues that didn’t join up in the womb, and putting them back together. Cleft lip and palate is not associated with learning difficulties or other developmental issues, although in around 15% of cases a cleft occurs as part of a syndrome which may have other implications. 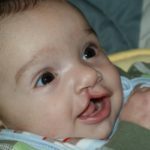 In the majority of cases, even with extra surgeries and medical appointments, a baby with a cleft will grow up just as happy and healthy as any other child. Read more about cleft lip and palate. The NHS Cleft Team can offer genetic testing, which will look into what may have caused your child’s cleft. This can give you a better idea of how likely it is that any future children in your family will also have a cleft. Around one in 700 babies are born with a cleft around the world. That’s three every day, or 1,200 every year in the UK alone! Read more about causes of cleft lip and palate. You should be referred to one of the NHS Cleft Teams all around the UK. These are teams of medical professionals, from surgeons to psychologists, who all specialise in treating cleft lip and/or palate. This should happen very soon after you’re first diagnosed. If it hasn’t happened yet, ask your obstetrician or midwife about getting a referral. If you have had an antenatal diagnosis, you may be able to get a free or discounted 3D/4D Scan at a private centre so you can see your baby’s face in more detail. Your baby will need surgery to repair the cleft, and may need further help with feeding. If your baby has a cleft palate, they may need help later on with speech and hearing. Like everything else, this is taken care of by the cleft specialists in the NHS Cleft Teams, who will monitor your child until they are 18-20 years old to ensure any issues are being dealt with. Read more about diagnosis, what it means, and what will happen now. “I was sliced with sadness. And guilt. Our daughter was 20 weeks old and already I’d failed to protect her. I have blurred memories of tissues and NHS tea. Of walking past all the other hopeful parents waiting for their scans with tears pouring down my face. Clutching my husband’s hand. Those are my memories of that day. Looking back now I can still feel the shock. We had no family history of cleft. I’d spent my pregnancy consuming epic amounts of folic acid, vitamins and oily fish. Why had this happened? To us? To her? I was angry. I felt guilty. I felt terrified. Now, I know how pointless and self-destructive these feelings were. The reasons why a baby is born with cleft are still murky to say the least. 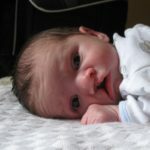 There is currently a huge national study into the causes of cleft, as so little is known about why 1 in 700 babies are affected every year in the UK. I spent months blaming myself for something that was entirely out of my control. Another problem was that I didn’t know anything about cleft. What it can mean. How it impacts on lives. How happy children can be despite being born with cleft. How little difference it would make to my daughter’s personality and to the way that we love her. If you take away one thing from our website, it should be that no matter your circumstances you aren’t alone. There are around 1,200 babies born with a cleft every year in the UK alone, and many of their parents join the CLAPA Community to find others with similar experiences. Parent Supporters are trained by CLAPA to support others one-on-one, either over the phone or through email. They understand just what you’re going through, as they’ve been there before themselves! You can find a Parent Supporter in your area, or search by a particular topic such as antenatal diagnosis. Follow our Facebook Page to get regular updates about CLAPA’s work around the country, or join our Facebook Group for parents which has over 8,000 members. Please do remember that advice and information you get online should never replace the advice and information you will receive from your Cleft Team. The Northern and Yorkshire Cleft Lip and Palate Team in Newcastle have put together this film, “Easing The First Few Hours” (part funded by CLAPA), as part of Cleft Lip and Palate Awareness Week. The video is 40 minutes long and quite detailed, but it is worth watching if you have the time. Otherwise, try our YouTube channel where we have split the video up into easily digestible chapters. Easing The First Few Hours from CLAPA Video on Vimeo.